out restaurant that is strong on flavorsome cuts of cattle and bold, high-octane drinks. Dimmed lighting, dark wood and glossy emerald leather make up the aristocratic club aesthetic, though the service is thankfully relaxed and keen to make every guest feel at ease. Solid recommendations come through for the small and concise menu of starters that comprise cold cuts, salads and a very excellent hamachi ceviche to the main act of General Pico brand Argentine pure Black Angus beef steaks: you can opt for cuts on or off the bone, though staff recommend the former for the extra flavour. 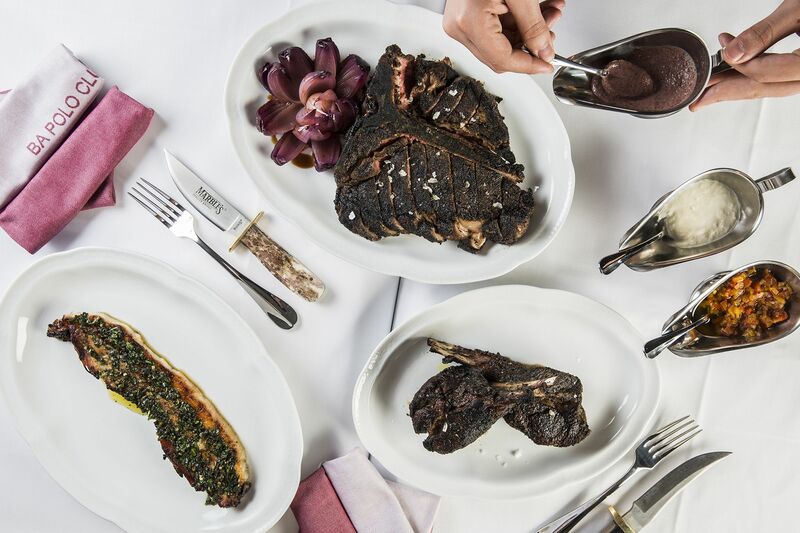 There are other plates as well, such as charcoal-grilled whole squid with chilli and lemon or a Tasmanian lamb tomahawk, but this is a steakhouse—and beef is what they do best. Ask the sommelier for recommendations in the Argentinian-focused wine list, which is a sound representation of the region. Desserts are no delicate offerings—the grilled pineapple with coconut sorbet comes in a massive half-fruit and is enough to share between two to three diners.